I thought I would share what I found in doing a bit of research for a coloring event I was hosting. Here is a brief history of coloring compiled from what I found on internet resources. The first coloring book published in 1879 and illustrated by Kate Greenaway was called the “Little Folks Painting Book”. Back then they were called “painting books” because crayons weren’t made yet. Crayons didn’t become available until the 1903 when the first box of crayons was developed. First of all, the printing process was revolutionized with automatic steam printing presses making books that can be created quickly and affordably. Secondly, educators began to realize the benefits of using creativity to enhance learning by giving visual cues to keep students interested and help with memory. In addition, coloring helped in the development of fine motor skills. For the most part, coloring books continued to be used for educational and creative purposes for children up until recently. However, in 1961, the “The Executive Coloring Book” was the first adult coloring book to be published. 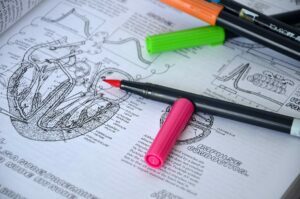 Educational nursing physiology coloring book. In my research, it appears that Johanna Basford’s 2013 book “Secret Garden: An Inky Treasure Hunt and Colouring Book” began the popularity of adult coloring books. Incredibly, 5 coloring books were on the top 20 best selling Amazon books list in 2015. 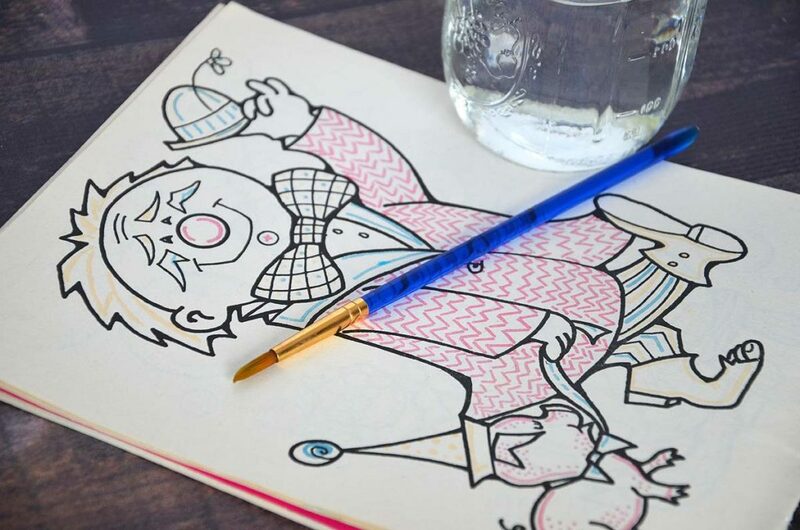 As a result of the popularity of coloring books, companies selling colored pencils have also seen a spike in sales and have had difficulty in keeping up with demand. WHY HAVE ADULT COLORING BOOKS BECOME POPULAR? In addition to artists being creative in finding alternative ways to get their art into the world with coloring books, I think the real force is that the public is increasingly interested in personal “wellness”. A rise in health awareness and preference for healthy living is evidenced by the increase in eating organic local whole foods, use of fitness technology, openness to alternative medicine, etc. provided a good distraction so as to replace negative with positive thoughts and images that result in decreased anxiety and stress. 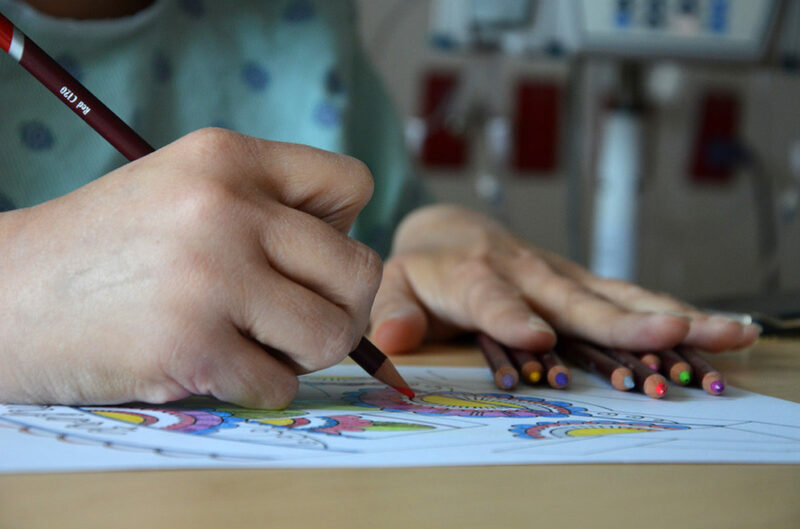 Below are coloring books and kits handed out by volunteers to patients and their families while at the University of Michigan. They give out crayons or pencils with the books and kits. I received one while waiting for an MRI and a kit while staying with my sister during one of her hospital stays. Coloring has continued to expand into other items besides books. You can now find stickers, greeting cards, posters, canvases, journals, tape among other items. Personally, I have found working creatively to be helpful, meditative and relaxing. I get in the flow and away from technology. As a result of the adult coloring book craze, programs and meet ups for people to socialize have been created. Here is a meetup website to find an adult coloring club near you. 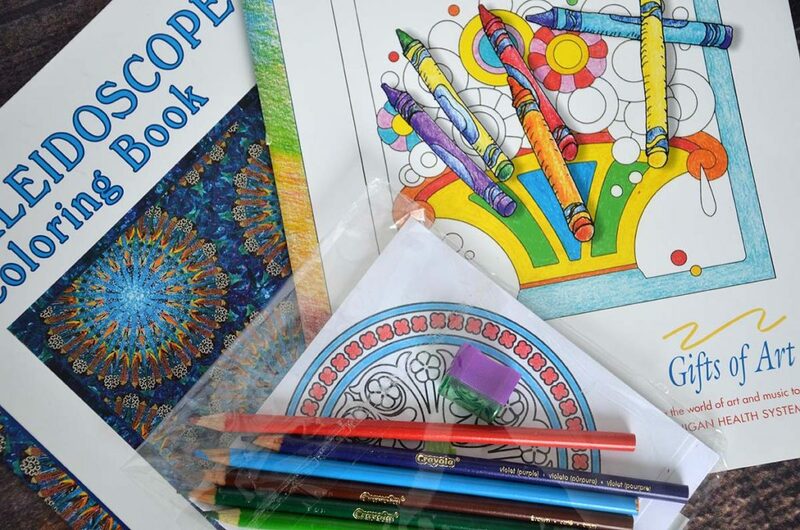 Many libraries and coffee shops host coloring meet ups. Finally, as a personal note, my 83 year old Mom colors and sends her artwork to her adult grandchildren as a way to stay connected. They display it on their refrigerator like she used to display their artwork. My sister has leukemia and colors to pass time in the hospital.